Captivea has deployed CRM and ERP software for over 11 years with more than 200 clients globally with offices in North America and Europe. We support organizations from 10 to 1000 employees across various industries. With our years of experience we have created our own deployment methodology (Stellar) based on the agile method. 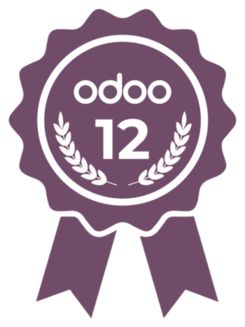 We can help you to define, design, implement, and customize Odoo, then train your team to ensure adoption. Our core values are to keep the experience simple while bringing added value with our technical and functional expertise. We have a large vision of information technology and software services, our expertise includes CRM, ERP, Marketing, Cloud, Hosting and GDPR. We are a contemporary full-service marketing agency that focuses on developing and implementing custom marketing solutions that deliver more inbound leads for our customers. A Google Partner, we specialize in crafting integrated marketing strategy, digital advertising, website design and development, search engine marketing, interactive and traditional design, email marketing, marketing automation, sales enablement, CRM integration and implementation, and measuring the success of our clients. Steeped in a rich tradition of longevity, experience and community, CAMCO is one of the country’s oldest community management firms. Founded in 1975, our forty-one years in the business have taught us that exceptional management is the key to successful communities. Shine Solar is the best rooftop solar company serving Northwest Arkansas and Southwest Missouri. We are quickly becoming the go source for rooftop solar.